Kitchens are going over to the dark side. 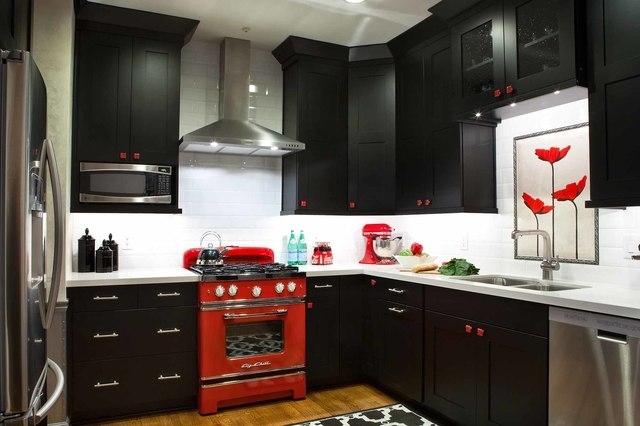 Jill Buckner Photography A 14-by-12 foot Atlanta kitchen designed by Kandrac & Kole Interior Designs features black cabinets with red hand-blown glass knobs, a retro red stove from Big Chill and a red mixer. Michael Gullon/Phoenix Photography This 154-square-foot kitchen designed by Kitchen Encoungers of Annapolis, Md., features maple cabinets painted ebony. Tracey Ayton Photography A kitchen designed by Lianna Armstrong of Vancouver, B.C., has Caesarstone Pure White and Taj Mahal quartzite countertops. 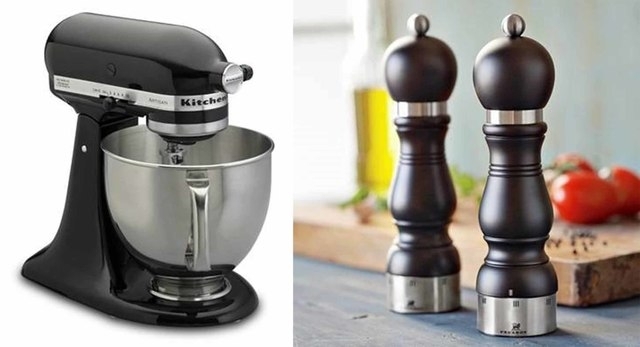 Courtesy Williams-Sonoma In small appliances, Williams-Sonoma stocks a lot more black than it used to, such as KitchenAid Artisan Stand Mixers and French salt and pepper mills. 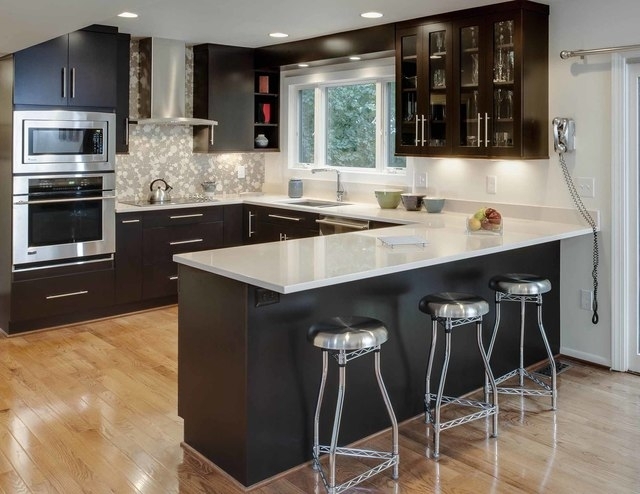 Black is replacing white or gray as the go-to choice for trophy kitchens across the country. “Kitchen noir” is also trending on social media sites such as Pinterest and in the portfolios of high-end kitchen designers, where trends often are hatched. Customers are looking for something their neighbors don’t have yet, designers say. 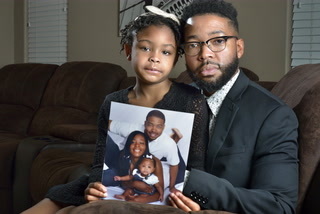 Black kitchens appeal to both men and women. Black custom cabinets are growing in popularity, as are black counters, islands, flooring and wall colors. Designers say that black is moody and romantic and brings drama to the room in the house where everyone likes to hang out. 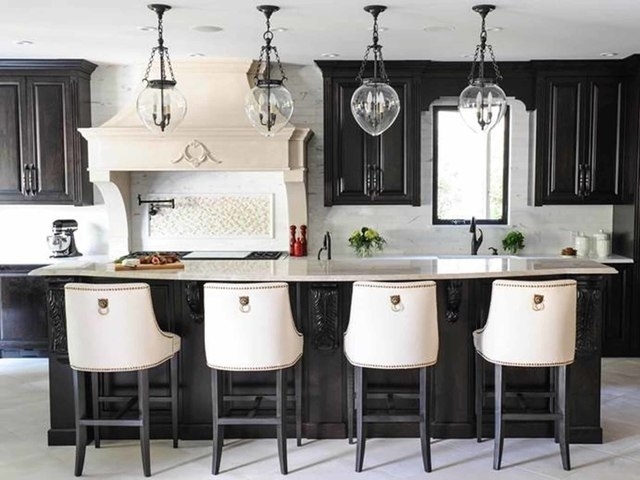 The 2014 National Kitchen &Bath Style Report asked members whether they had used a black color scheme in at least one kitchen they designed in the past year. 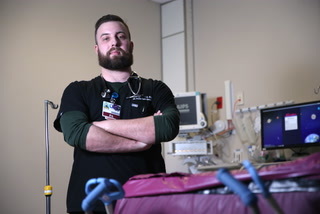 Of the respondents to that question, one-third said they did; five years ago it was only 12 percent. Major appliance manufacturers are taking note. 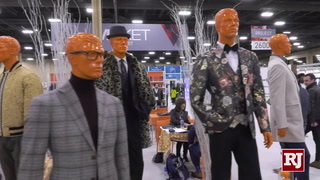 At GE Appliances, designers are working on new finishes for appliances that would blend with the darker finishes becoming popular for kitchen cabinets, countertops and floors. “Over the past year, we started hearing about black kitchens from high-end designers all over the country,” says Lou Lenzi, GE Appliances director of industrial design. Although GE has offered a black onyx finish for more than 35 years on stoves, dishwashers and refrigerators, the company is working on something new, probably to debut next year. “Its going to be a much more sophisticated color in terms of its gloss level and materials,” says Lenzi, who described it as a brushed, textured graphite with a low-gloss finish. In small appliances, Williams-Sonoma stocks a lot more black than it used to, such as KitchenAid Artisan Stand Mixers, Nespresso Inissia compact espresso makers, Philips Viva Digital Air Fryers, KitchenAid Pro Line 4-Slice Toasters and Hurom Slow Juicers. Although small black appliances blend in with black counters and cabinets, they also work with other finishes.